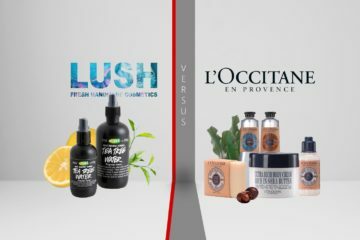 When it comes to comparing L’Occitane and Kiehl’s products, there are many similarities to be found, but also many differences to tear them apart. For instance, both brands are not BBB (Better Business Bureau) credited. They don’t have to, but it’s something that unites them. Each brand has its own followers, some only use Kiehl’s products, some go L’Occitane all the way, no matter the results they get- but results are positive almost all the time. 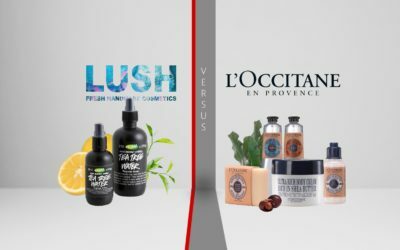 L’Occitane is researched on the web more often than Kiehl’s and this relates to the popularity, as L’Occitane is more known than Kiehl’. This depends on the brands advertisement as well. When you check the tweets or the followers from Facebook, you can clearly see that L’Occitane is way far more appreciated. But, this comes from a better social media presence, above all. If you go to the websites of each brand, you can observe that there is better privacy and confidentiality protection of customer information on Kiehl’s website. Over the last 6 months, L’Occitane website didn’t experience any problems, it’s just that the security of Kiehl’s website seems to be stronger. When you purchase directly from Kiehl’s website, you notice that there are no shipping fees for purchases over $50. On the other side, you find various shipping rates on L’Occitane purchases, no matter their value. The difference goes further as Kiel’s websites accepts only three types of credit cards, while L’Occitane gives you more options on the accepted credit cards. 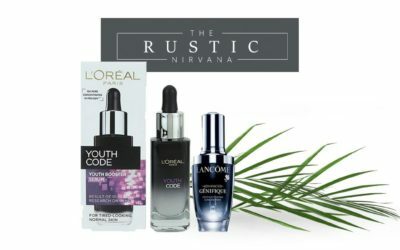 Kiel’s gives you 100% money back guarantee, whereas L’Occitane gives a refund within 14 days of online purchase, only if the merchandise is unopened. This periods expands to 30 days when you do it directly from a shop. Your money pocket sees the difference when you shop a Kiehl’s product and when you do it from L’Occitane, as the first one seems to be lower priced than the other one. 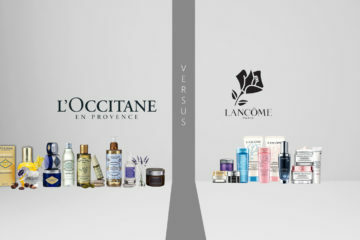 Some noticed, though, that the money difference worth it, as they appreciated more L’Occitane. L’Occitane gives a rich, light scented cream that contains 20% Shea Butter. This product works great for the very dry skin and even though the container is rather small, it gets you for at least 6 months, with once a day use. If the L’Occitane Shea Butter hand cream has a light scent, the Kiehl’s hand cream has a nice herbal smell, giving a mild cooling effect just as well. Some could define this smell as not feminine enough, but who says that this product is for women only? L’Occitane hand cream and Kiehl’s hand cream are both nice and thick, but the L’Occitane doesn’t leave a sheer or film after use. 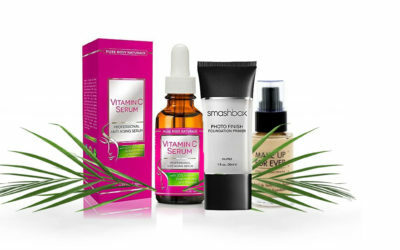 Both products absorb fast into the skin and are not greasy. The L’Occitane doesn’t contain lanoline, whereas Kiehl’s hand cream is not paraben free. 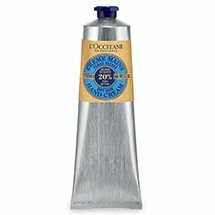 It seems that both hand creams work great for the very dry skin, but L’Occitane simply does it better, as it absorbs in 30 seconds even in the hot, humid summertime. L’Occitane hand cream seems to be healing powers just as well. Even though woman and men skins differ, there are some similarities so manufacturers created facial creams that may be used by women and men at the same time. These facial creams are both Unisex and they seem to be high quality just as well. 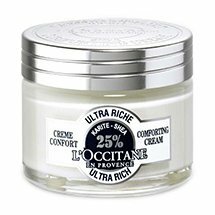 The L’Occitane Shea Ultra-Rich Comforting Face Cream does miracles for the very, very dry skin, whereas the Kiehl’s Ultra Facial Cream is efficient even during the coldest winter. The Kiehl’s facial cream seems to be absorbed quickly and some noticed how L’Occitane face cream needs some time and some good rubbing to be absorbed entirely. When it comes to smell, the L’Occitane face cream seems to be stronger flavored- this comes with a twist: some absolutely love the “old baby powder” lookalike smell, whereas some simply can’t stand it. Kiehl’s facial cream doesn’t seem to give this kind of opposite reactions, when it comes to smell. L’Occitane face cream is appreciated for its healing powers, as some skin eczema symptoms improved when this cream was used. Also, this facial cream has done some miracles when it comes to rapid aging just as well. 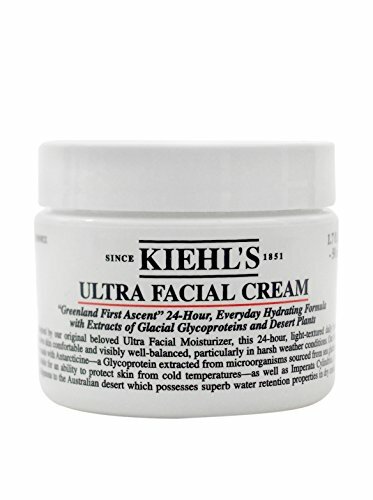 Kiehl’s facial cream is more a day&night cream, keeping the skin healthy and protected. Both facial creams give a silky glow to the skin, but L’Occitane is thicker than expected and needs better rubbing into the skin. L’Occitane face cream contains 25% Shea butter, vitamin E, omega 6 and karitene. Kiehl’s facial cream contains Desert Plant extract (great for hydration), Squalane (balances the moisture of skin) and Antarcticine (protects the skin). None of the facial creams has SPF protection and Kiehl’s cream does contain parabens. The both creams come in same capacity jars, but Kiehl’s face cream price goes a bit higher than L’Occitane. 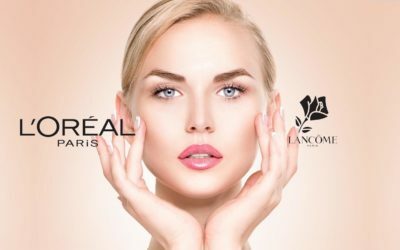 When it comes to the health of the skin in the eye area, both brands are preoccupied about making the best products for it. Kiehl’s Creamy Eye treatment is unisex, while the L’Occitane Immortelle Precious Eye balm has no gender specifications. 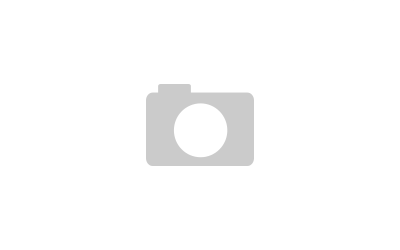 It seems that the L’Occitane is a great product for the eye, working amazing against the dark circles around the eye. Also, this product helps when it comes to the eye bags just as well. The Kiehl’s Creamy Eye treatment is also amazing, having immediate results on the skin around the eye. If L’Occitane eye balm acts better against the eye bags, the Kiehl’s product is more efficient when it comes to brighten the skin around the eye. 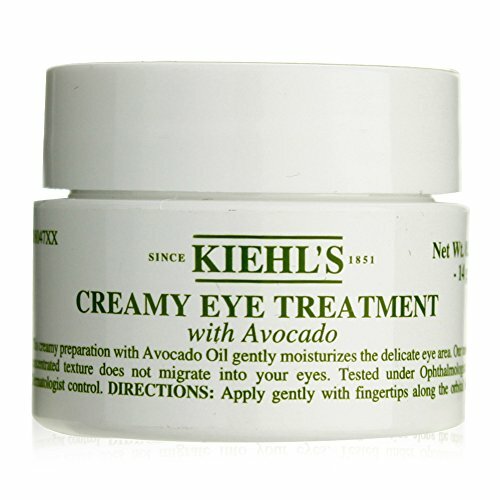 Some appreciated highly the smell of the Kiehl’s creamy eye treatment, thanks to the avocado oil use as an ingredient. 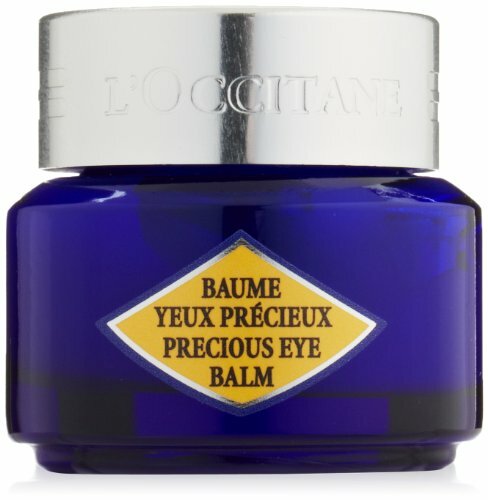 As much as many have complimented the L’Occitane eye balm for it qualities, some noticed that this is a bit too strong for some, especially when having allergies. Both products soothe, moisturize and nourish the skin around the eyes, but the Kiehl’s product is pricier than L’Occitane. As Shea Butter is a main ingredient for almost all L’Occitane products, the Ultra-Rich Lip Balm from L’Occitane also contains 10% Shea butter. This makes the lip balm able to moisturize and protect the dry lips, making the chapped lips disappear. This balm has no taste, no smell and lasts quite long. The Kiehl’s Lip Balm has a smooth texture and gives a nice shinny look to the lips, apart from protecting them from dryness. The L’Occitane lip balm is best working when applied in the evening so the lips can restore overnight. The Kiehl’s lip balm heals the skin and may be used as often as you feel like it. If the lip balm of L’Occitane lasts long and absorbs fast, the lip balm from Kiehl’s seems to give a sticky feel after the first appliance. Also, it seems that the Kiehl’s lip balm is a bit more difficult to use, since it doesn’t have an applicator. The lip balm of Kiehl’s contains Vitamin A and E, lanolin, Squalane and Sweet Almond oil, whereas the L’Occitane lip balm’s main ingredients are Shea Butter, beeswax and Carnauba Wax. And is paraben free just as well. When you take good care of your body, you know that you do need to use a good body cream to have a softer skin. 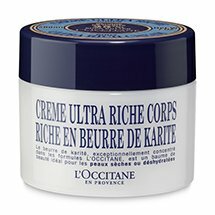 Designed for the dry skin, L’Occitane Shea Butter Ultra-Rich Body Cream contains 25% Shea Butter and gives long-lasting nourishment for it. The L’Occitane body cream is rich, luxurious, soaks fast into the skin and leaves a pleasant smell. The Kiehl’s Crème de Corps Body Moisturizer also gives a nice, smooth, refreshing feel to the body skin and the discreet scent comes from its ingredients: cocoa butter, sesame oil. Beta carotene gives a deep natural yellow color to the skin. The body cream from L’Occitane comes in a jar, whereas the Kiehl’s product comes in a bottle. Some mention that the Kiehl’s body moisturizer is more difficult to apply because of that. The prices seem to be almost the same, but the Kiehl’s recipient is bigger. Either way, both products are considered to be not very low priced.